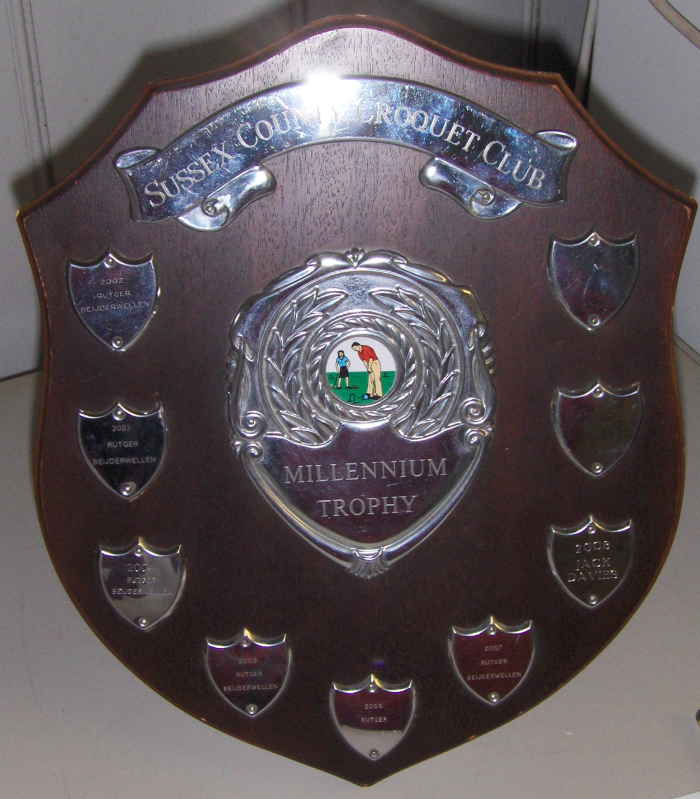 Over the hundred and something years of its life, the Sussex County Croquet Club has had an impressive collection of trophies for their competition programme. 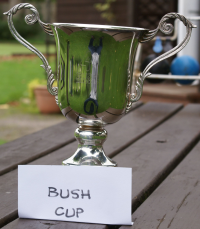 Many have long since been disposed of (or lost!). 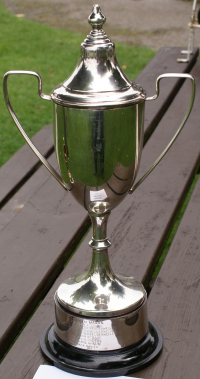 The following is a fairly complete list of trophies and their history. 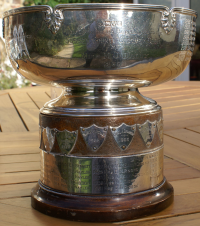 Any information on winners has been taken from The History of Croquet, [Col.] D. M. C. Prichard, London: Cassell, 1981 (now out of print). This is work in progress. If anyone has details to add please contact the Webmaster. Defunct since 1983 Presented by Capt JR Abbey. 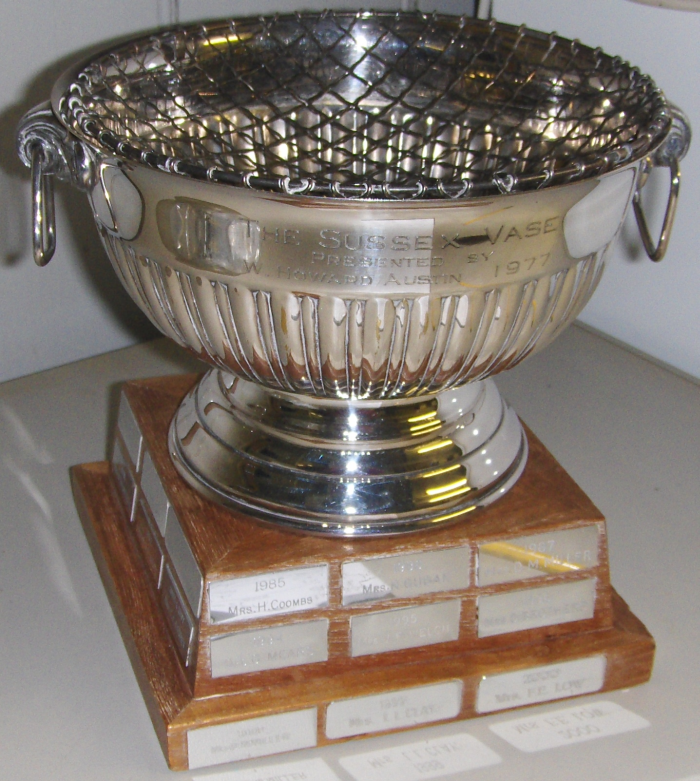 Now the Moore Cup. Presented in 1904. Defunct since 1939. 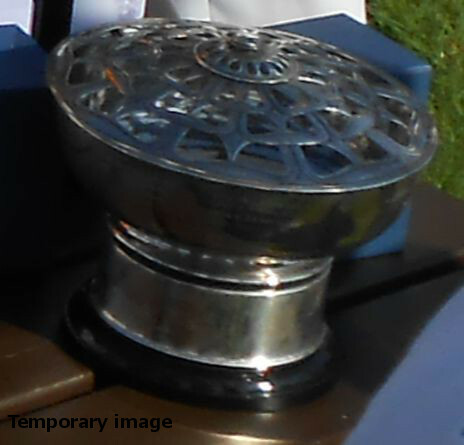 Silver Inkstand presented in 1927 by Miss Dives & Silver Bowl presented by Miss Davies. 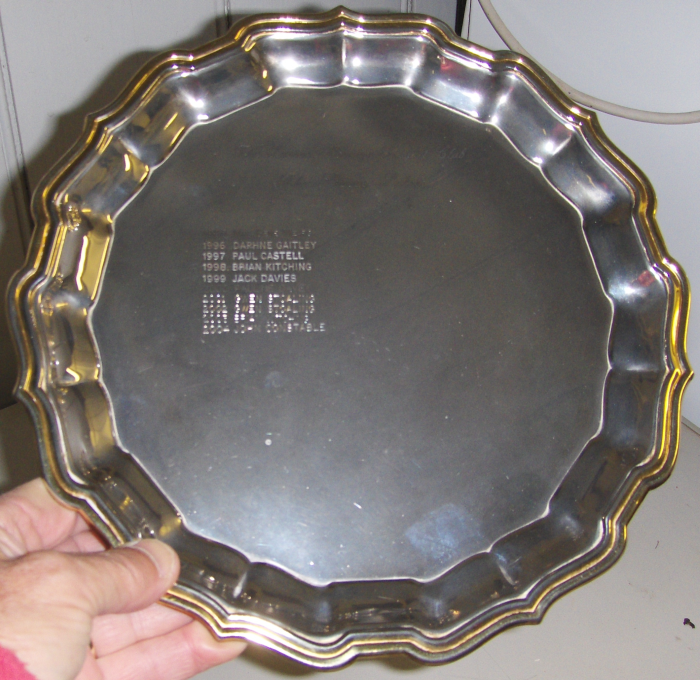 Presented in 1956 by Lady Douglas-Jones in memory of her husband. 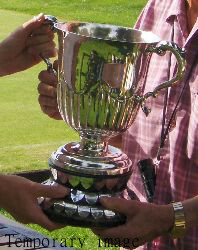 In 2008 was briefly used as a trophy (runner-up) in the Moore Cup competition. 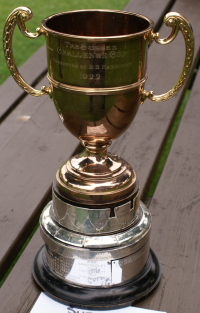 Presented in 1976 by Ron Whetstone.In 1984 an additional cup, a replica of the original cup, was bought for doubles. Defunct since 1947. 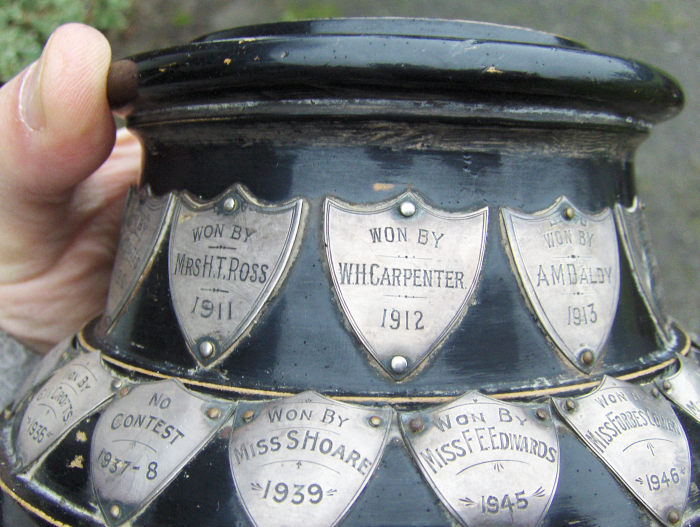 Presented in 1935 by Mrs Ross' daughter, curiously the Club has retained the stand but not, it seems, the cup! 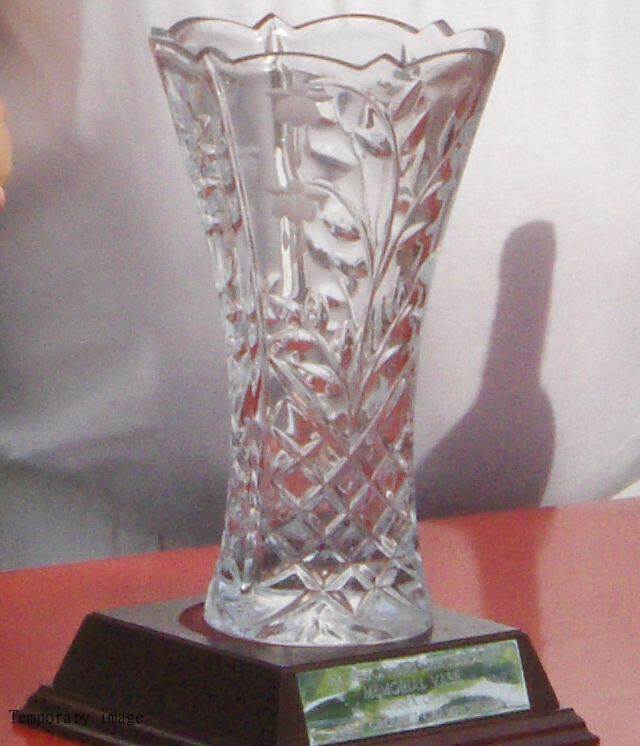 Defunct since 2000, Previously known as the Franc Cup, of which the Club has a second trophy by the same name. 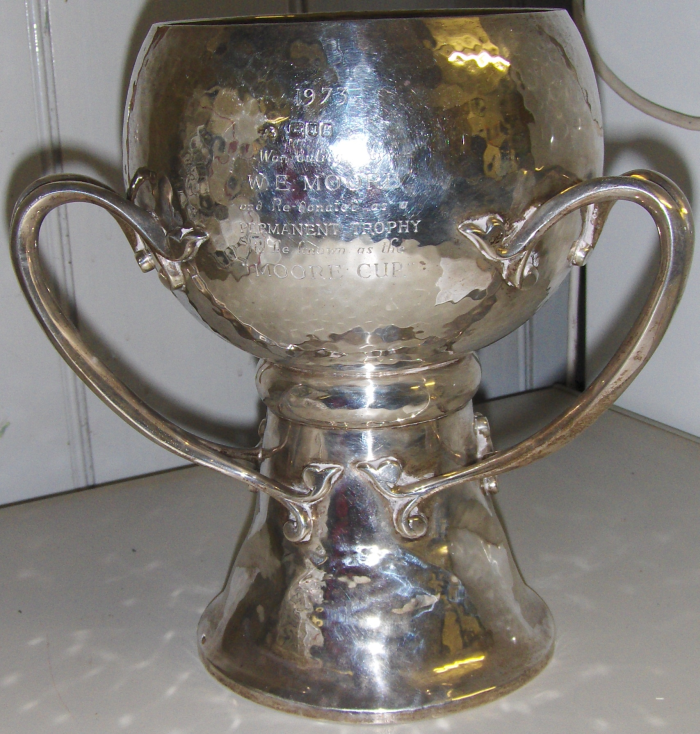 Defunct since 1938, one of the oldest club cups, being first contested in 1900. Defunct from 2003 to 2016. 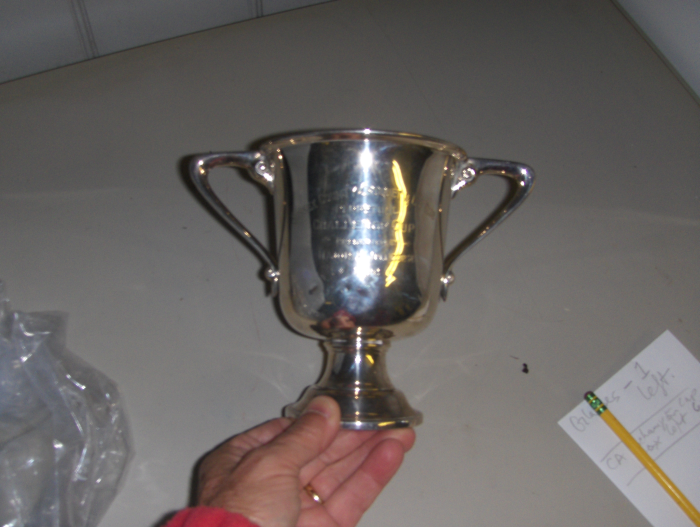 Then awarded as the Challenge Cup for Golf Croquet in the May open tournament. Presented by W Howard Austin in 1977. 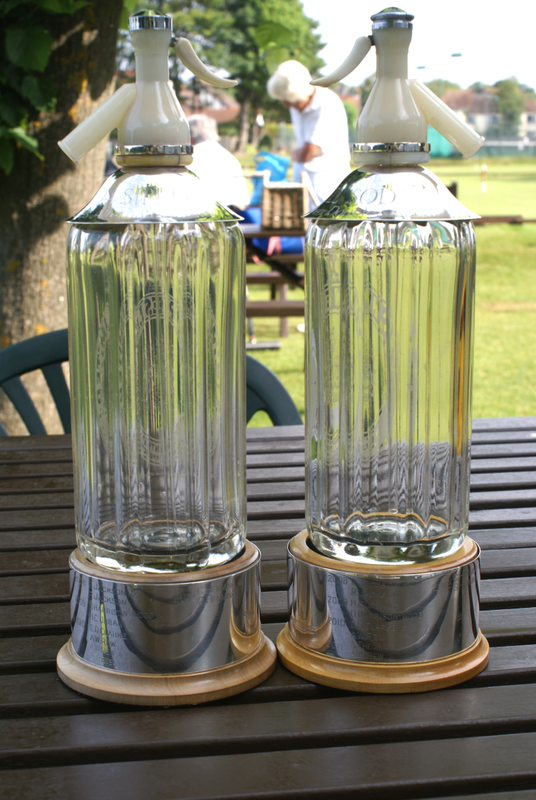 Open, AC class singles advanced play, Summer tournament, presented in 1927 by WH Abbey. 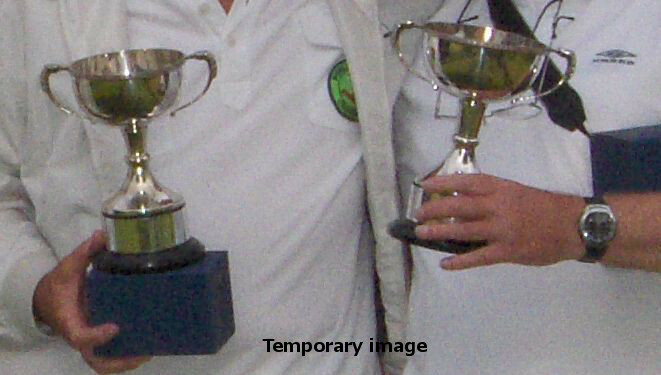 Open, AC alternate strokes doubles competition, donated in ?2008 by Paul Castell for this tournament. 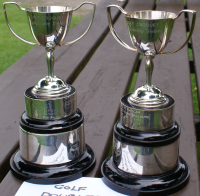 In 2017, as the open ASD tournament was no longer running, the trophies were used for a local ASD day open event. Charles Robert D'Esterre was born in London about 1876 but initially known as Charles Roberts: he probably changed his name after an inheritance but this has not surfaced at present. He trained as an engineer and, in 1902, applied for two patents with Charles Rolls for engine improvements. However, his real interest was astronomy, particularly astronomical photography and he was elected a Fellow of the Royal Astronomical Society in 1895. After his parents died he gave up engineering, and bought Tatsfield Cottage, Tatsfield, Surrey. He fitted up a major observatory about 1915 at which point he was on the Council of the Royal Astronomical Society. The War interrupted this work and he served with the Royal Army Service Corps, and later in Cologne with the army of occupation, but did not attain to high rank. When he returned to Surrey his sight had deteriorated and he dismantled the observatory and disposed of the equipment. In 1905 he married Katherine Cecilia Doyle, in Wandsworth. She was born in Hertfordshire in 1879, the only daughter of Capt B W Doyle, sometime British consul in Brazil. Initially they lived in Tatsfield Cottage, but after Charles had given up astronomy they moved to the Brighton & Hove area and are recorded there by 1929. 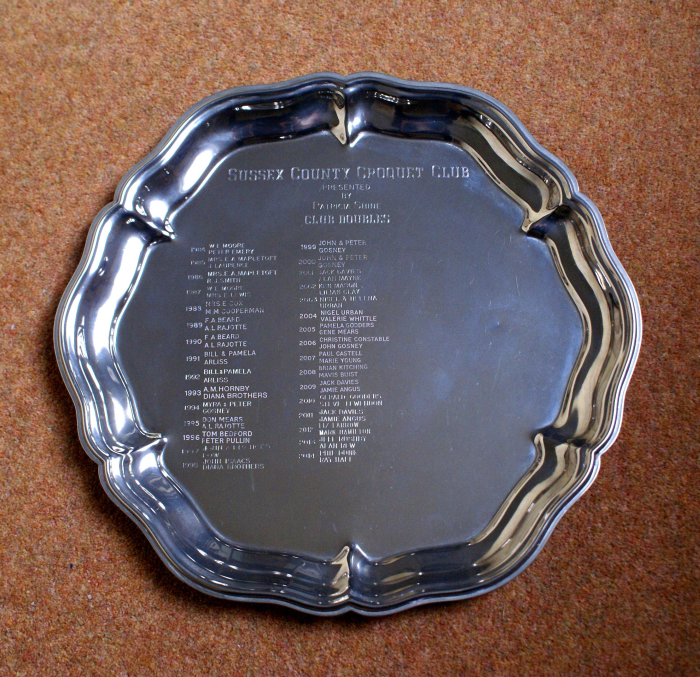 Perhaps both joined SCCC (more research needed) since there seems no other reason for donating a hallmarked trophy. They did not appear in the 1939 census so may have been abroad at the time. Charles died in Devon in 1943 at Ottery St Mary after a short illness, at which point Katherine was noted as “of Montpelier Hotel, Budleigh Salterton”. Katherine died in Hove in 1967. 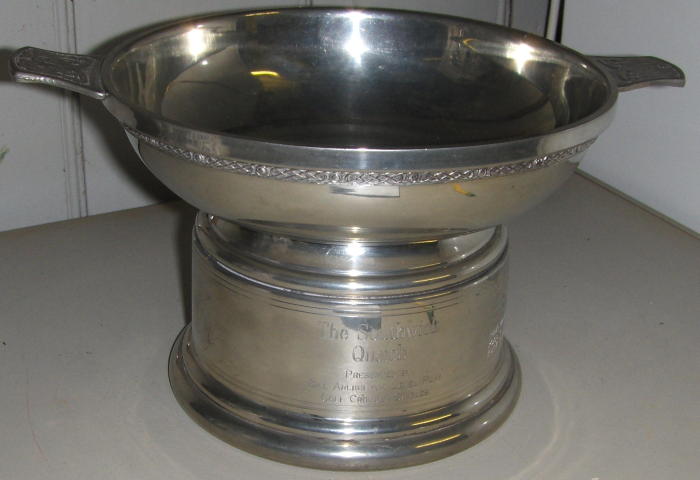 It is notable that the trophy was competed throughout the 1939-46 period. 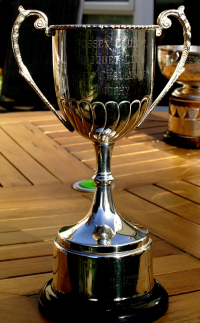 Club competition. 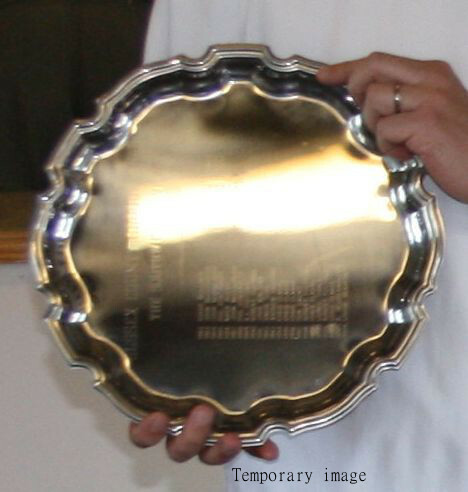 Originally presented in 1927 by Rev A F Whillan, it was won outright in 1936 by Miss M J Daldy and re-presented by her to the Club. 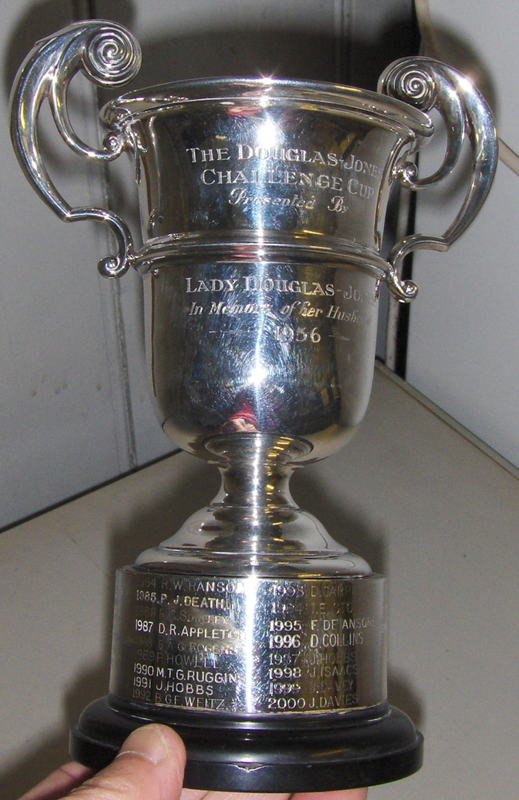 Now a ladies club competition, presented in 1927 by Mrs H Franc. 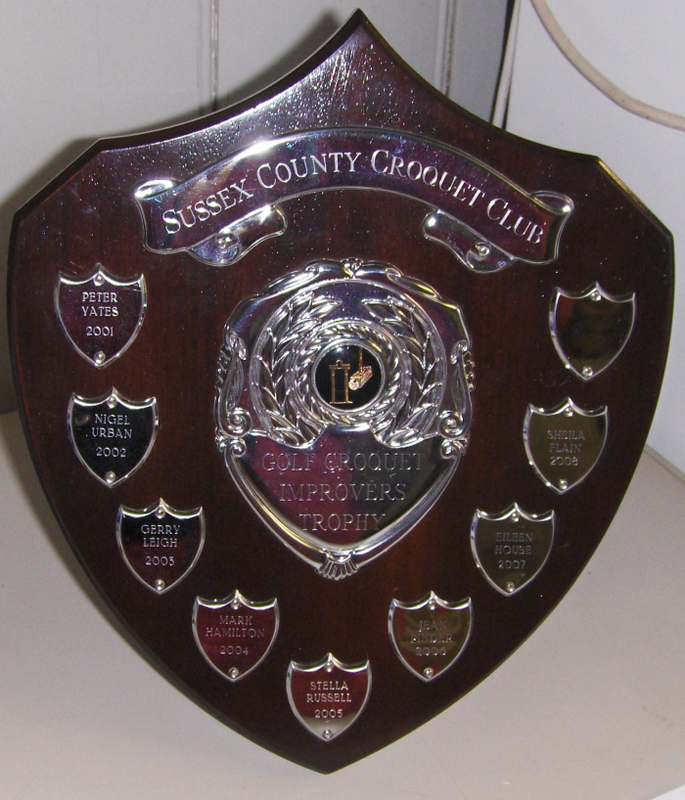 For Sussex Open Golf Croquet Championship, presented in 2009 by Mark Hamilton in memory of his mother. Defunct from 2002 to 2016. Presented in 1926 by Major H Jellicorse. 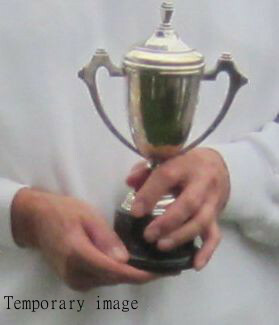 Now awarded for the Golf Croquet level play Summer Tournament. 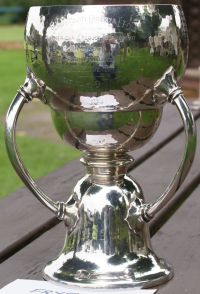 Previously This was the Bryan Challenge Cup (1904) and, as was the custom at the time, was won outright in 1927 by Mis EDB Simeon who then re-presented it as the Simeon Challenge Cup. 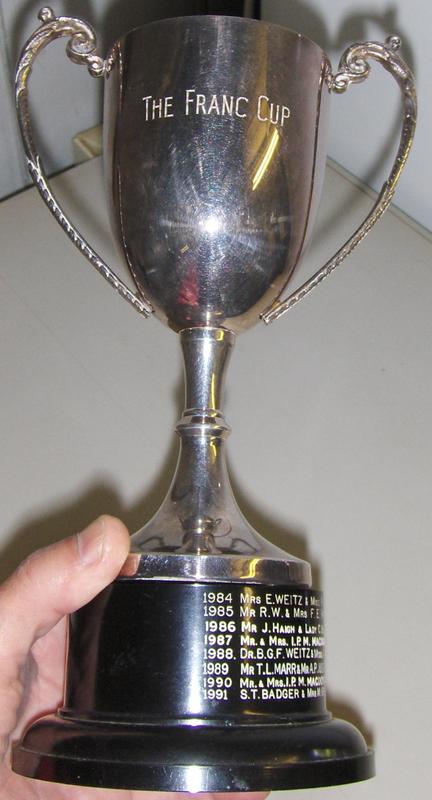 It was again won outright in 1975 by W E Moore and re-presented by him to the Club. 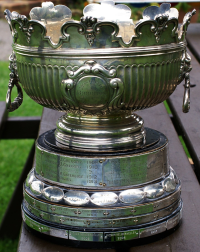 Now defunct, was for most of its life the Douglas Jones Cup. 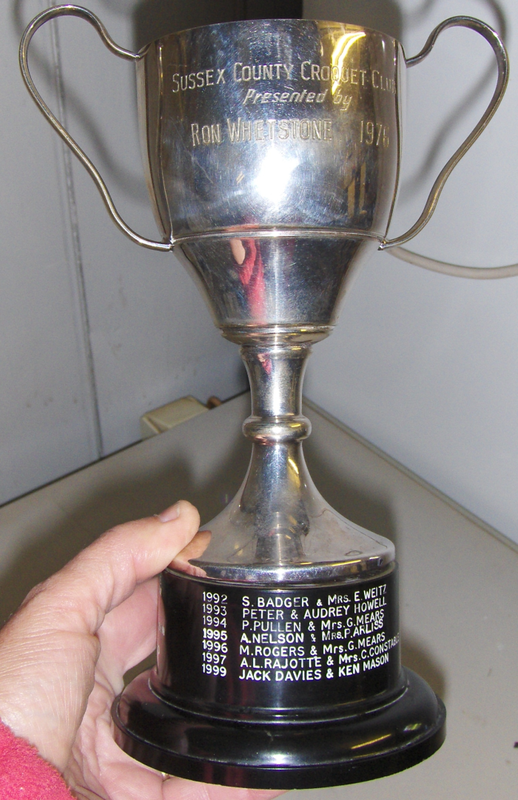 Presented to the Club in 2001 by Bill Arliss for golf croquet singles competition.